Spot checks with a dermatologist on a yearly basis may be a wise choice. This is especially true for those with many moles, history of precancer or skin cancer, family history of certain malignancies, or new or changing spots. Spot checks may be directed toward a single lesion, or can include a complete skin exam. Periodic surveillance of the entire skin helps to detect lesions that otherwise may go unnoticed. 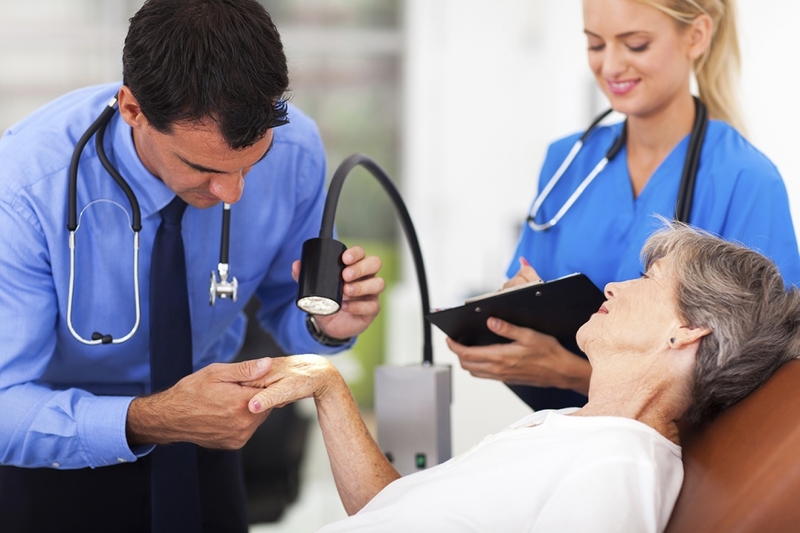 If you have a concerning lesion that seems suspicious, Dermatology Specialists can help give you peace of mind by making skin checks more accessible. Contact us at 314-997-7546, or complete the Skin Check Form online. Consider performing at-home skin self-exams at least once a month. You may want to include a spouse, friend, parent, or other family member, who can observe your back. Keep a record of your observations, and photographs may be helpful in tracking any changes. Suspicious skin growths — i.e., lesions, moles, or other abnormalities — may need further evaluation.